Nicholas Zvegintzov is a technical writing and software consultant who specializes in techniques and technology to manage and document installed software systems. Replaced the database structure for international financial statistics collection for an international financial organization, using COBOL and B7000 Command Language on Unisys and IBM mainframes (International Monetary Fund). Created runbook and user documentation for the application flows, program functions, and data contents for the business processing of a New York City health care system, on HP and Digital workstations, AS/400s, and network interfaces with service bureaus (New York City Health and Hospitals Corporation). Created and installed the Year 2000 Project Managers methodology for an international financial organization (Chase Manhattan Bank). Instructed organizations in methods and technology for analysis, conversion, and testing for Year 2000. Established tool-based software certification methods for the Software Testing Assurance Corporation. Created and assessed for the U.S. Navy emergency scenarios arising from Year 2000 software failure and/or public perception of failure (U.S. Navy). Assisted companies to install best practices for service management using the international IT Infrastructure Library (including Capital One, Fannie Mae, First USA Bank, Philip Morris Management Corp., and others). Created software design documentation and runbooks for installed applications in marketing, warehousing, and electronic data interchange, using network protocols including TCP/IP and SNA (Scholastic Inc.). Advised the Product Strategy Group of a financial services software company on installed systems management (Misys Banking Systems). Wrote Procedure Manual for Compliance Enforcement at international monetary transfer company (Nexxar Group). He has a degree in Psychology and Philosophy from Oxford University. 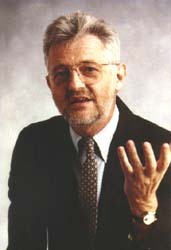 He performed research for Britain's National Physical Laboratory, and did doctoral research in computer science at Carnegie-Mellon University, in Pittsburgh. He gave the 2007 Stevens Lecture on Software Development Methods at the European Conference on Software Maintenance and Reengineering. Mr. Zvegintzov edited the newsletter “Software Management News” whose widely-trusted reports spanned the universe of installed software. “Tutorial on Software Maintenance” (with Girish Parikh), published by the IEEE Computer Society. “Software Management Technology Reference Guide”, a guide to the technology for management, control, and support of a software portfolio. -- and many articles for trade and research publications.